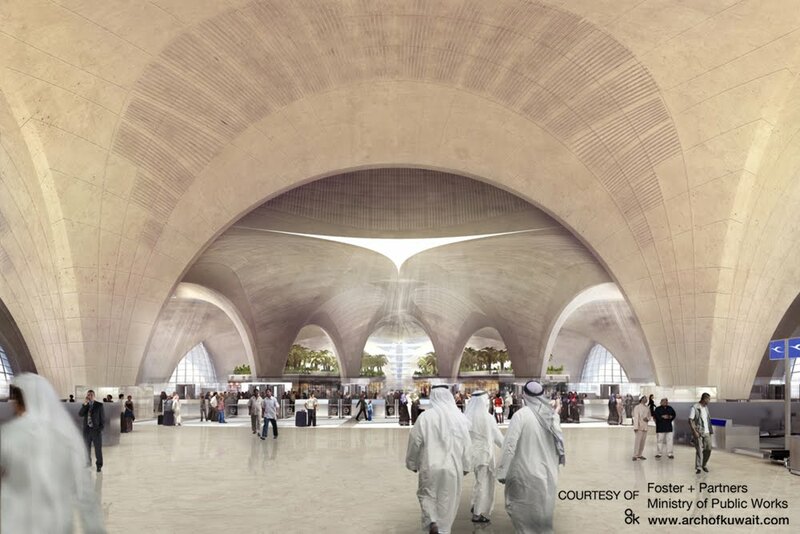 “Kuwait International Airport will be an iconic new gateway to the State of Kuwait, with a design that is rooted in a sense of place, responsive to the climate and inspired by local materials and architectural traditions. 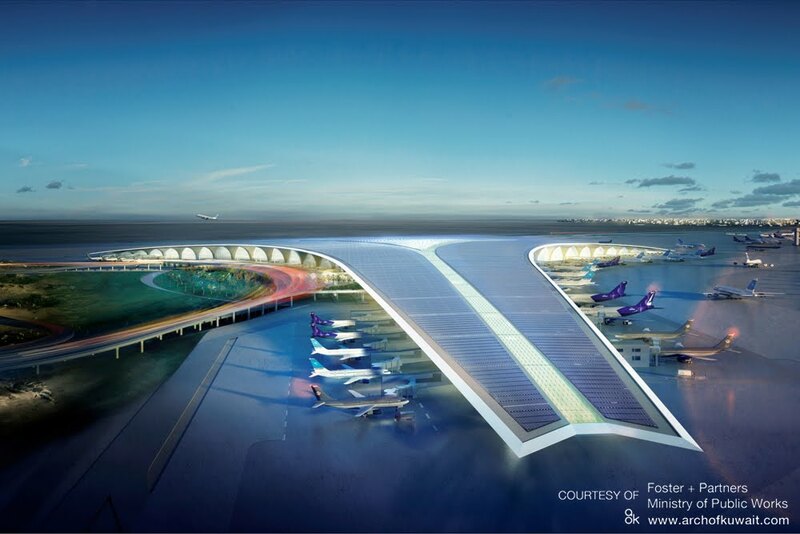 Designed to increase the airport’s capacity to 20 million passengers per year. 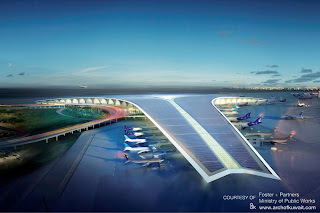 The strategic aims of the project are matched by a state-of-the-art terminal building, providing passengers with the highest levels of comfort and operational efficiency and latest technology. 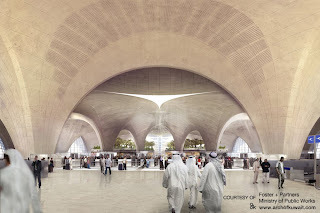 Through it’s newest design approach and technical considerations, this project aims to support the State’s policy in transforming Kuwait into a financial and economic center. Will it take 20 years to complete?